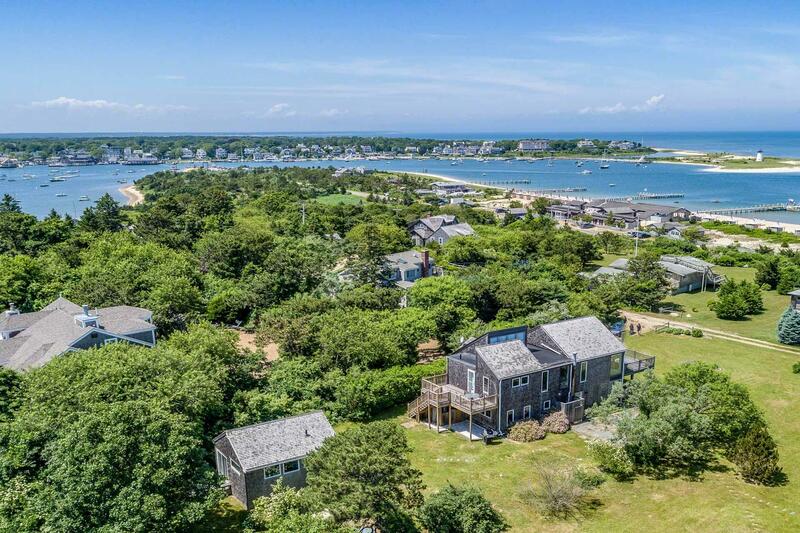 Point B Exclusive - Sitting atop Manaca Hill, this Chappy compound enjoys sweeping water views over Edgartown Harbor on out to Cape Pogue. 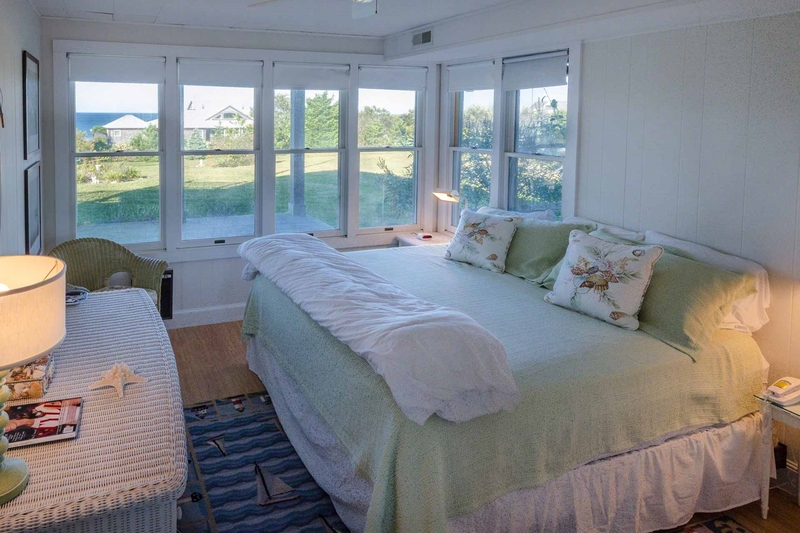 The Main House features an upside down layout with living spaces on the second floor designed to take advantage of the water views. 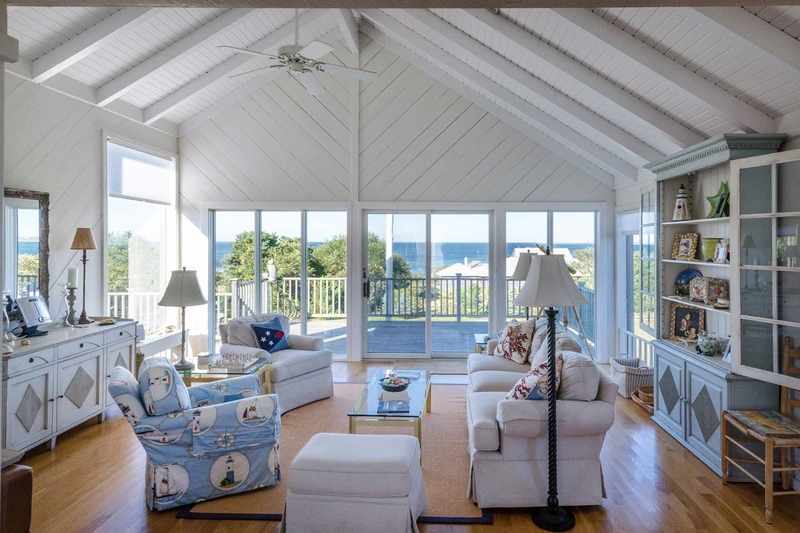 The Living Area has a vaulted ceiling, and a wall of glass sliding doors and windows that open to a large, ocean-facing, wraparound deck. 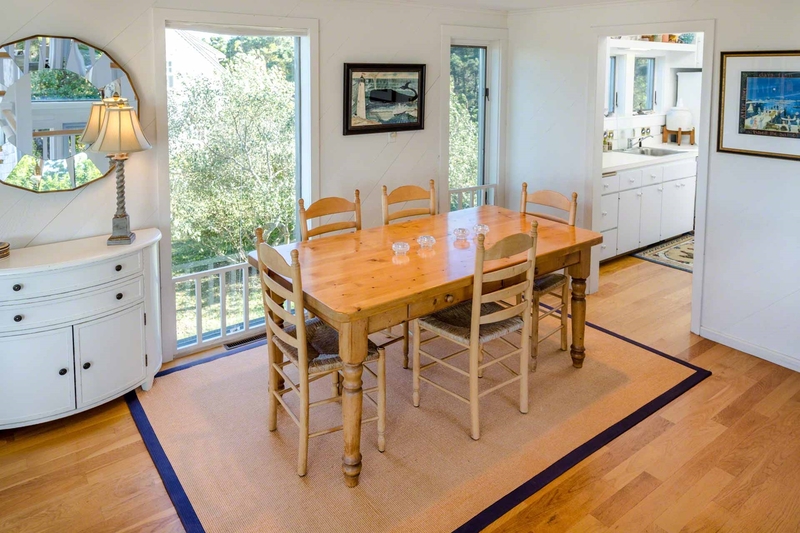 The Dining Area and Kitchen also open out to the living area for easy entertaining. 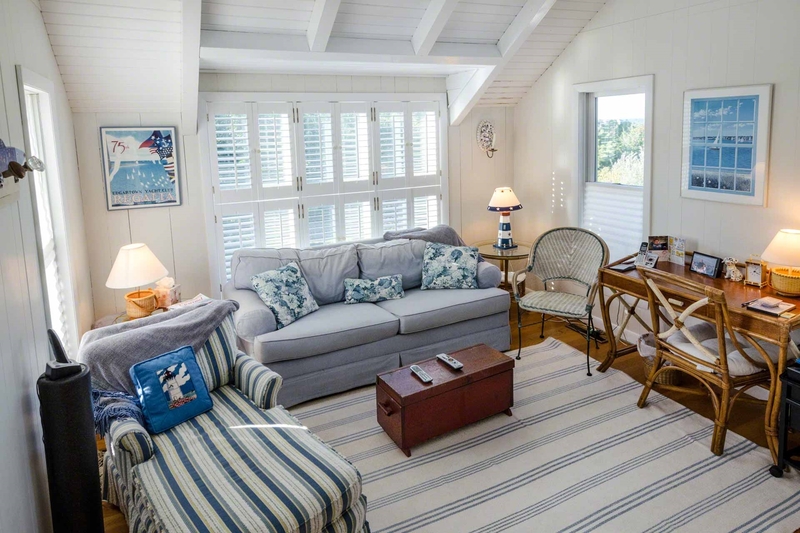 There are nice coastal touches and styling throughout the compound. 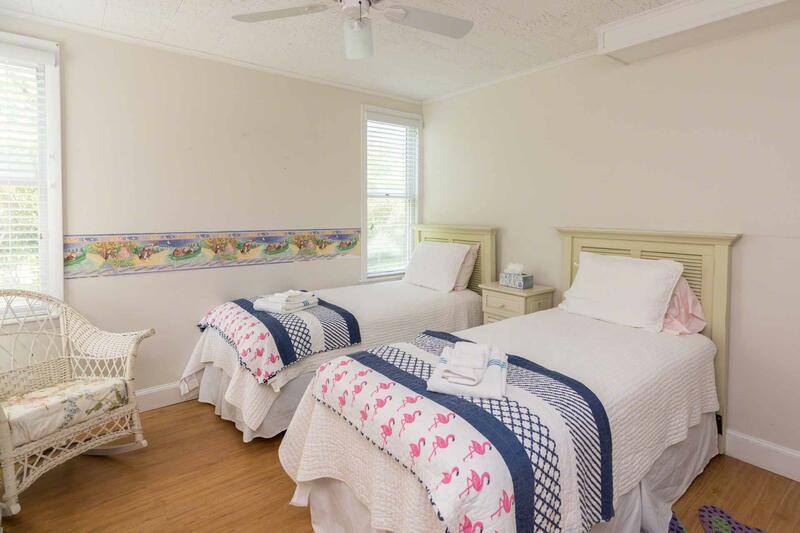 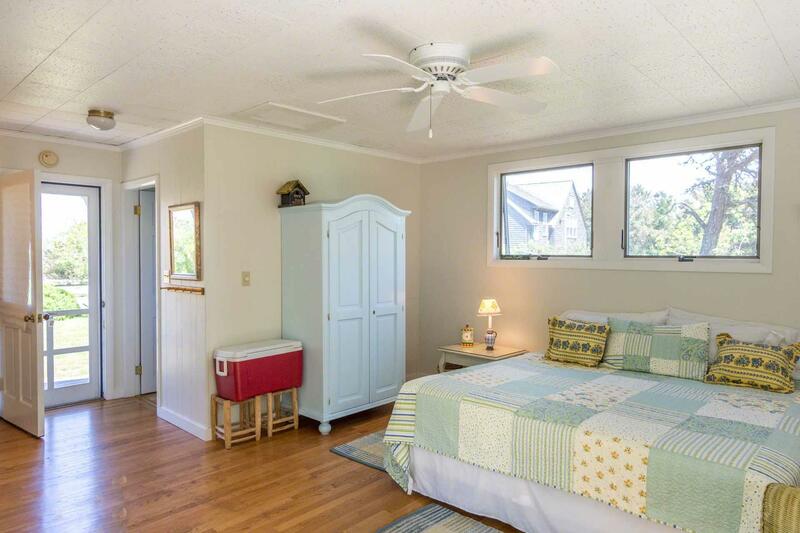 The four Main House Bedrooms are on the first level and share a full bath with tub/shower. 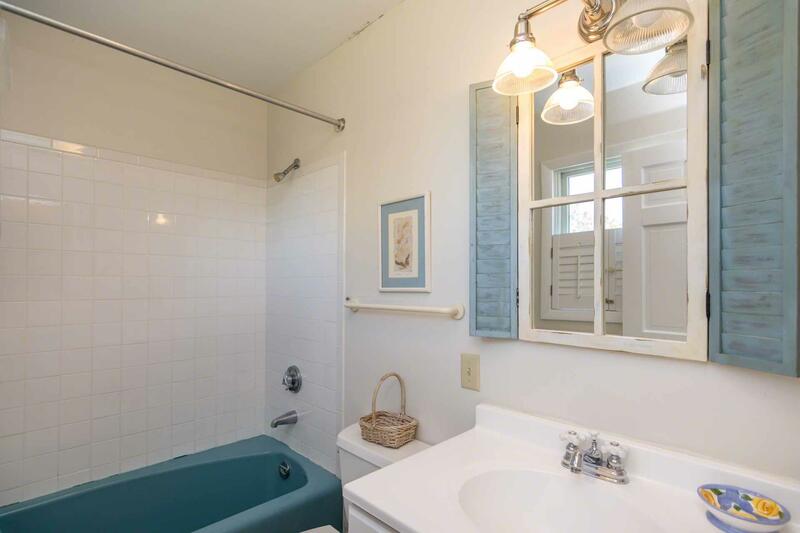 Upstairs, the TV/Family Room has a sleeper sofa and shared access to the upstairs full bathroom. 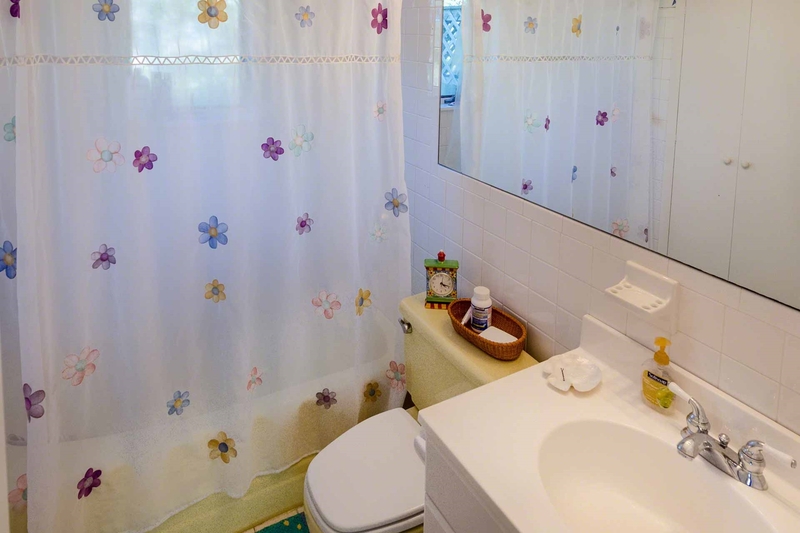 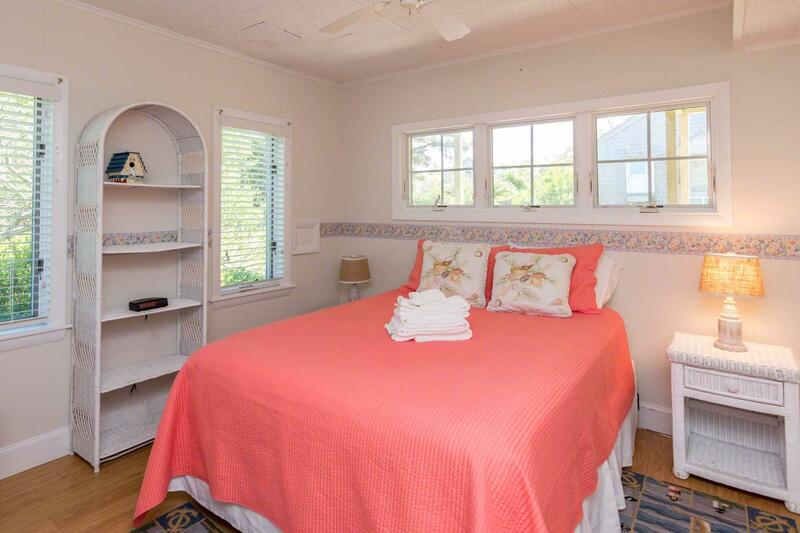 The separate Guest Cottage has a one Bedroom suite with full bath. 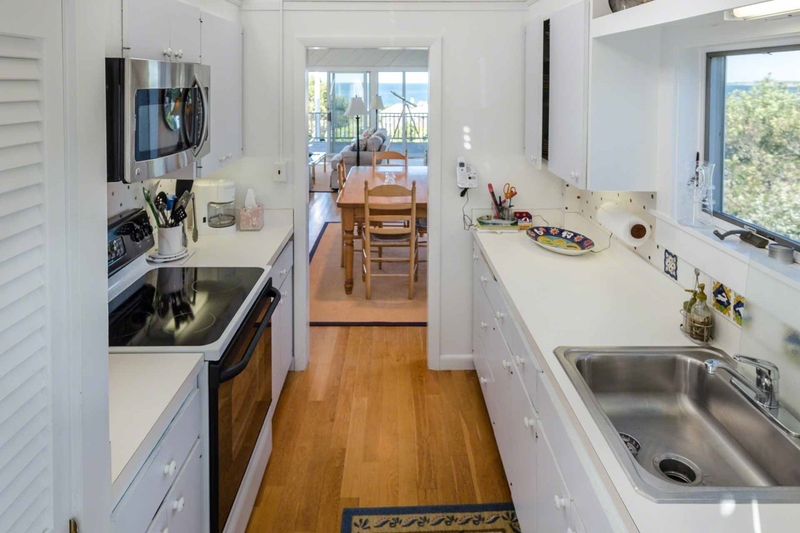 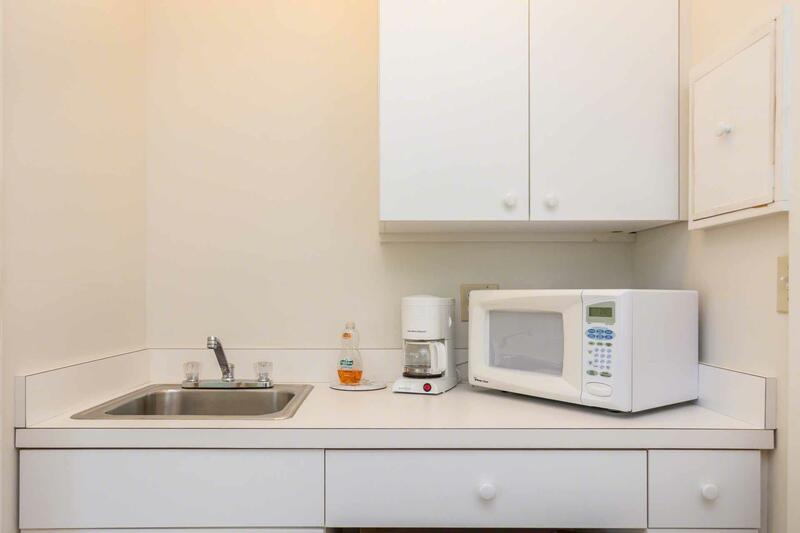 The loft-style open layout has sleeping and dining areas, as well as an efficiency kitchen, and a deck. 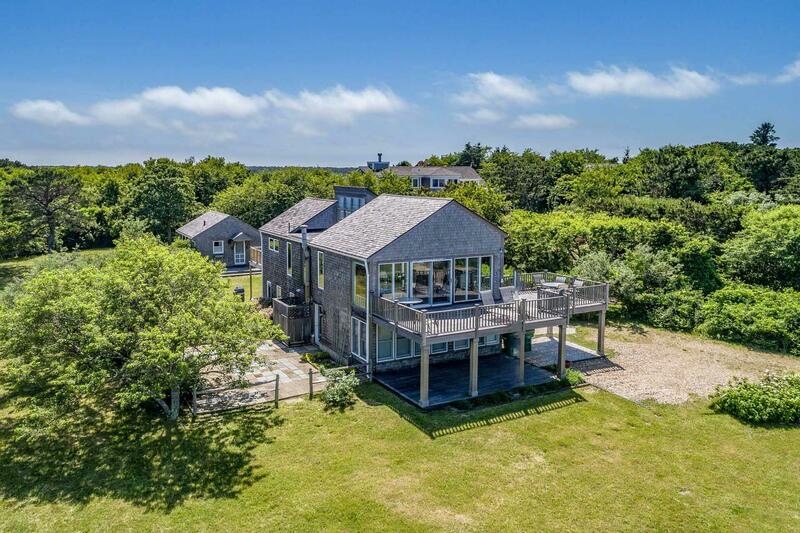 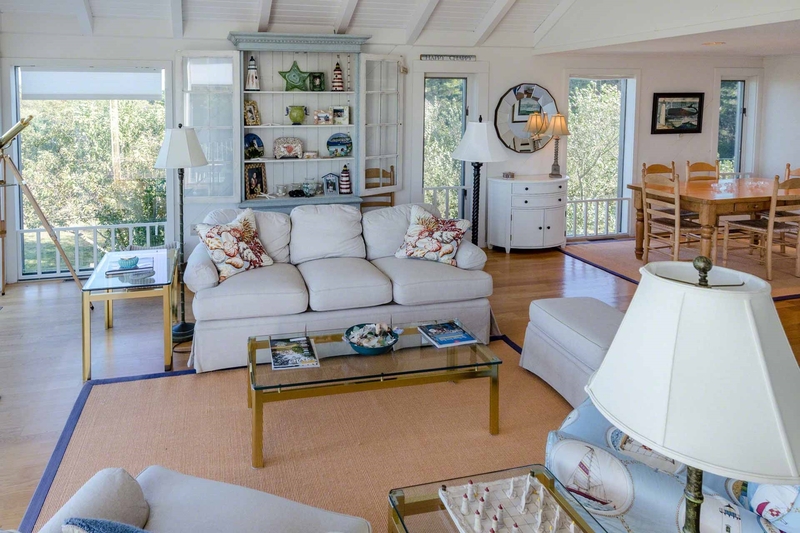 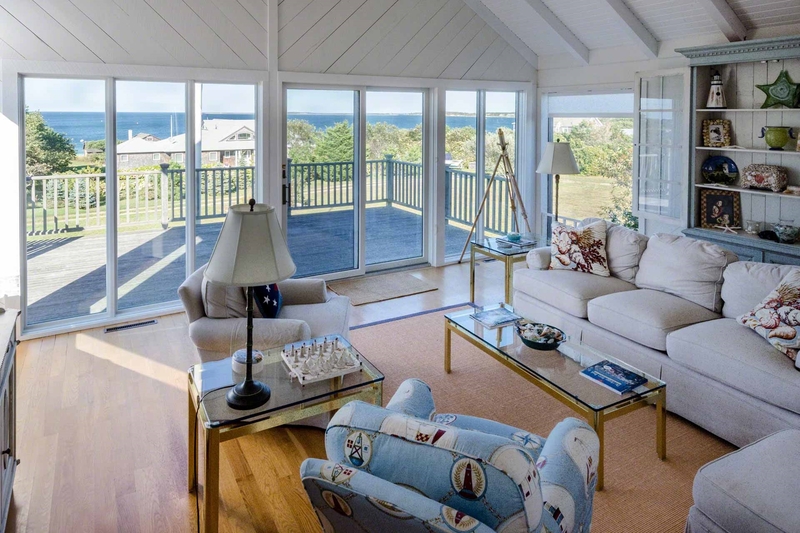 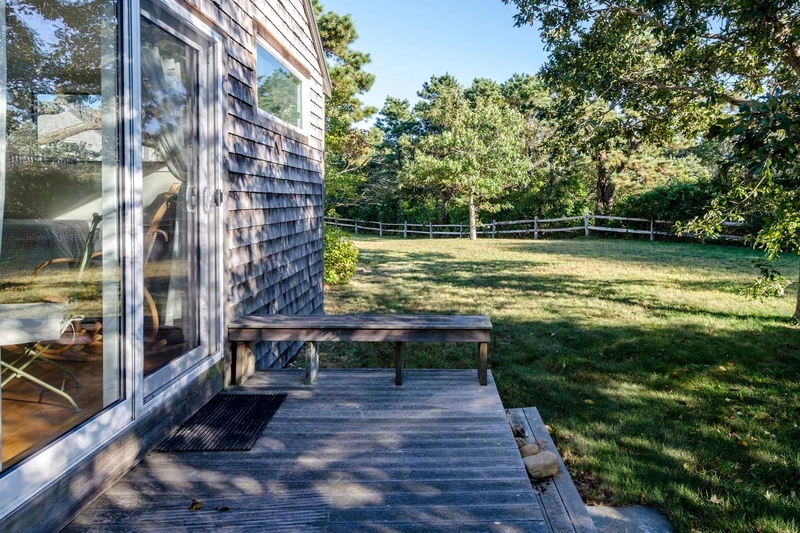 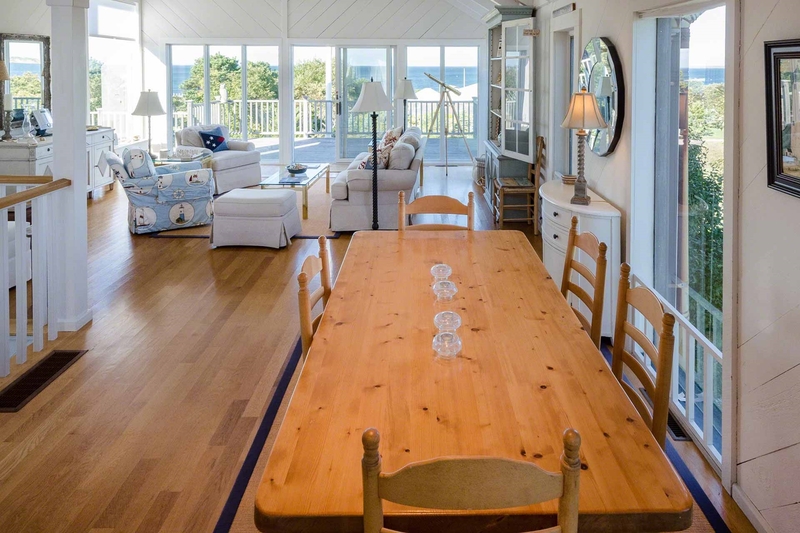 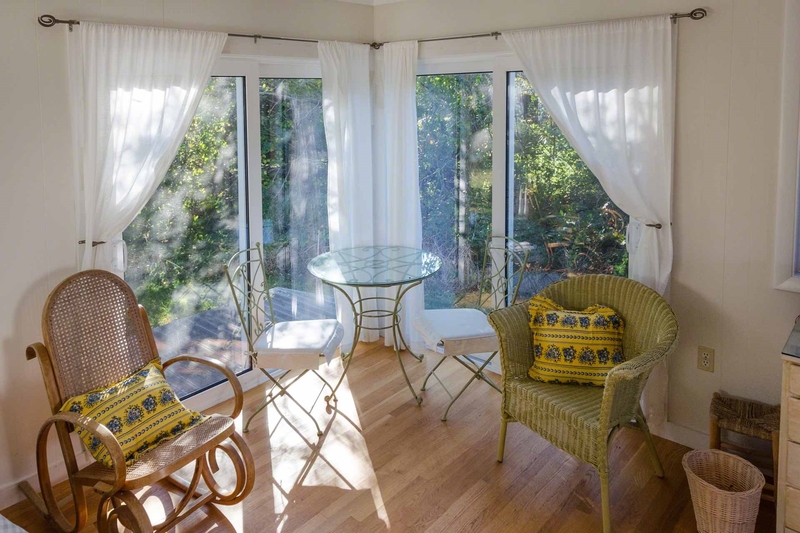 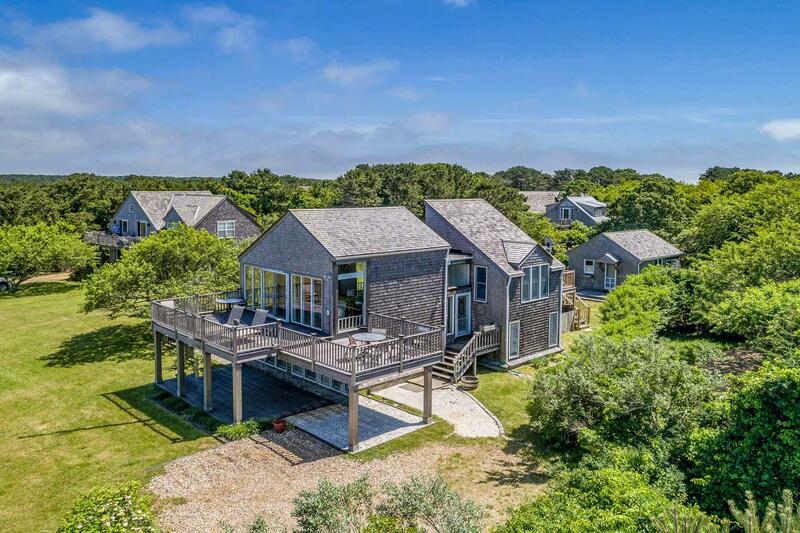 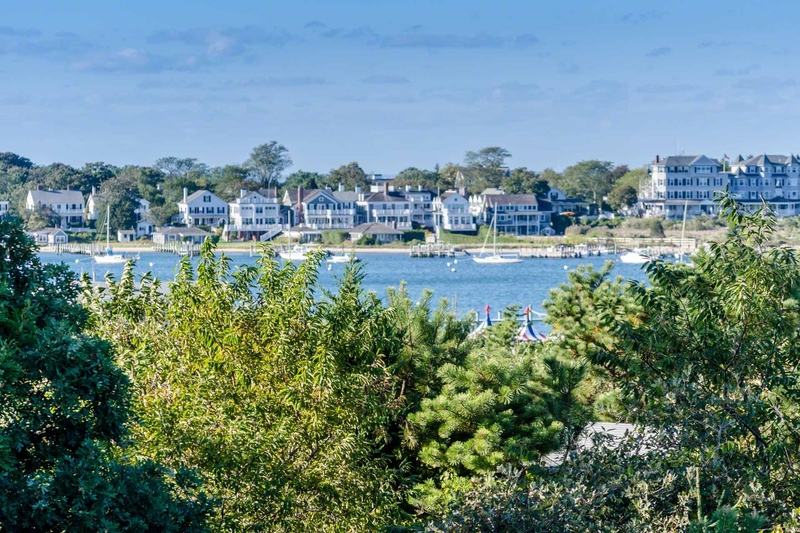 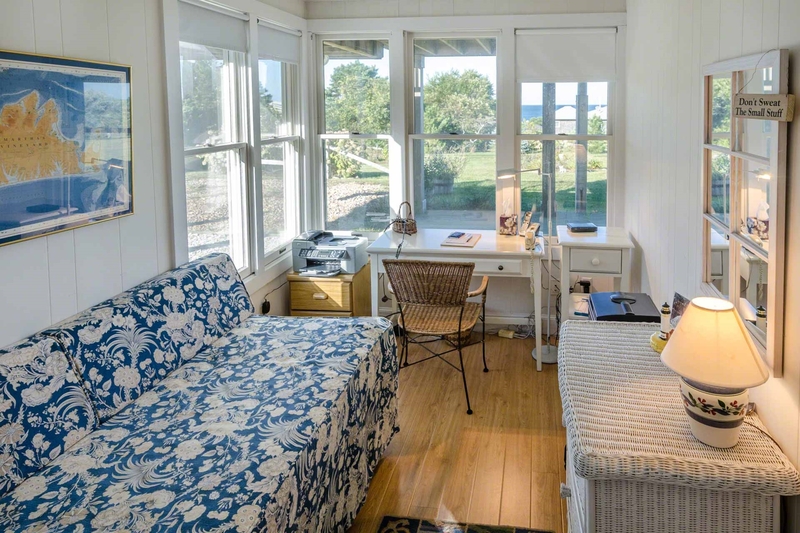 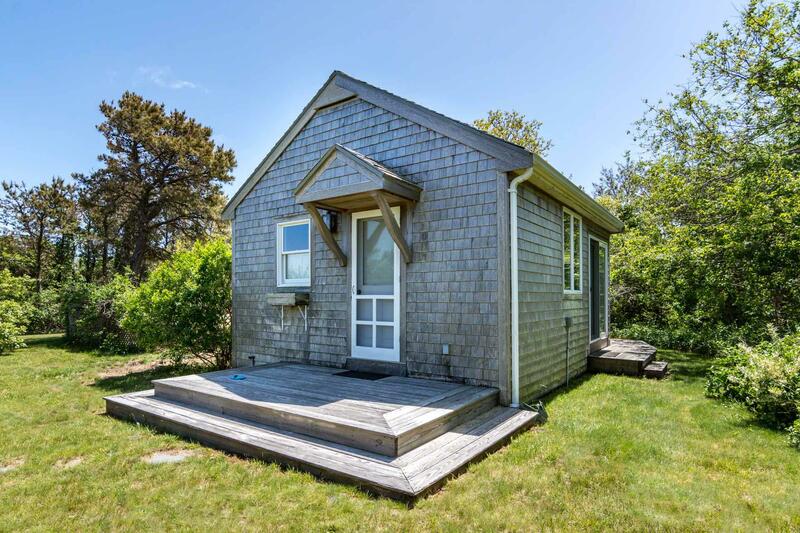 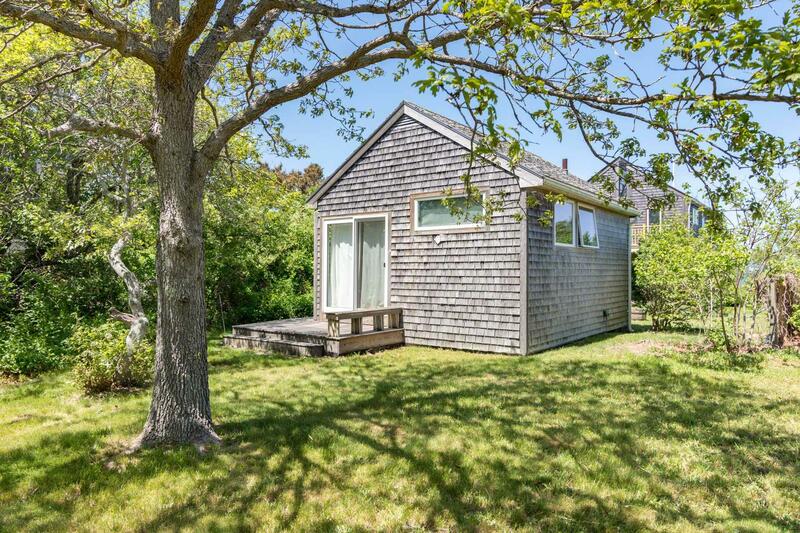 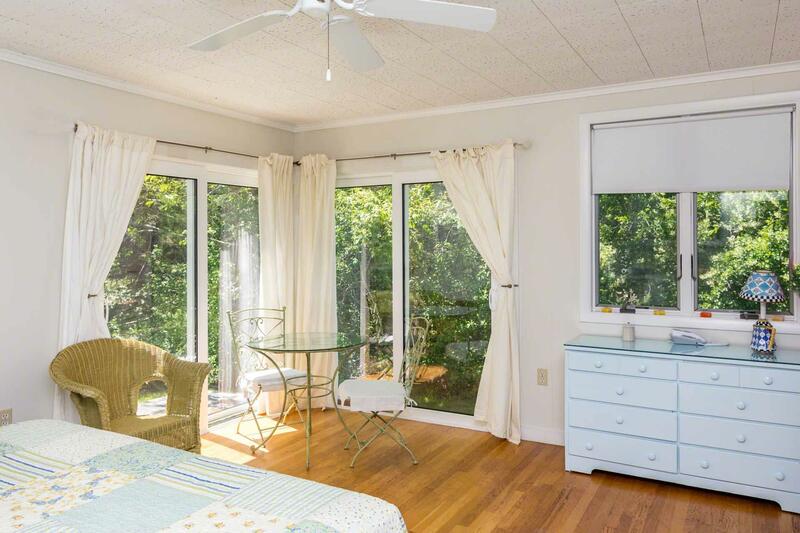 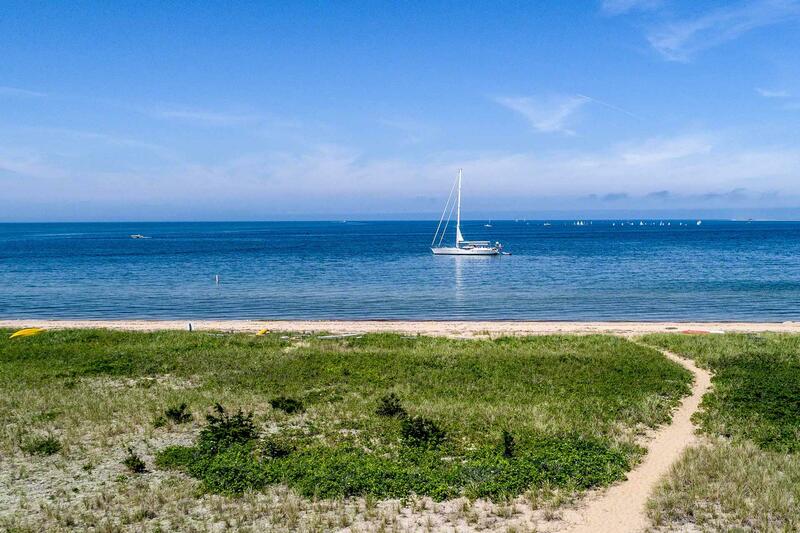 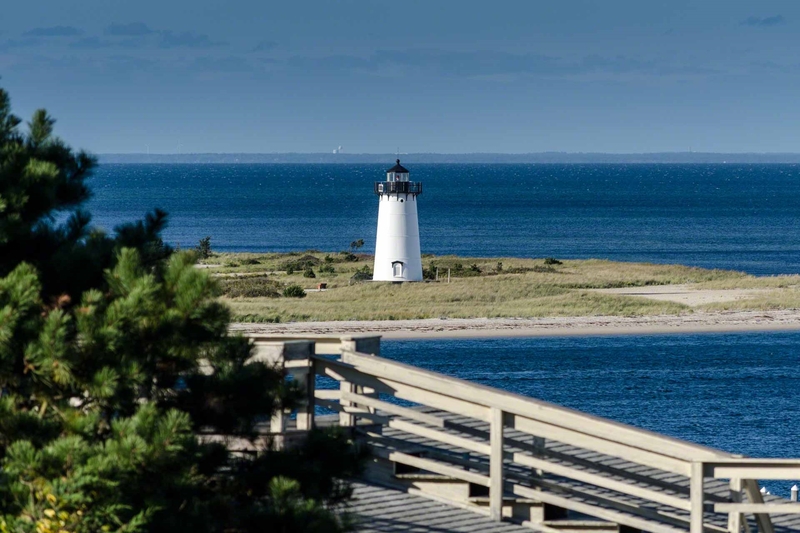 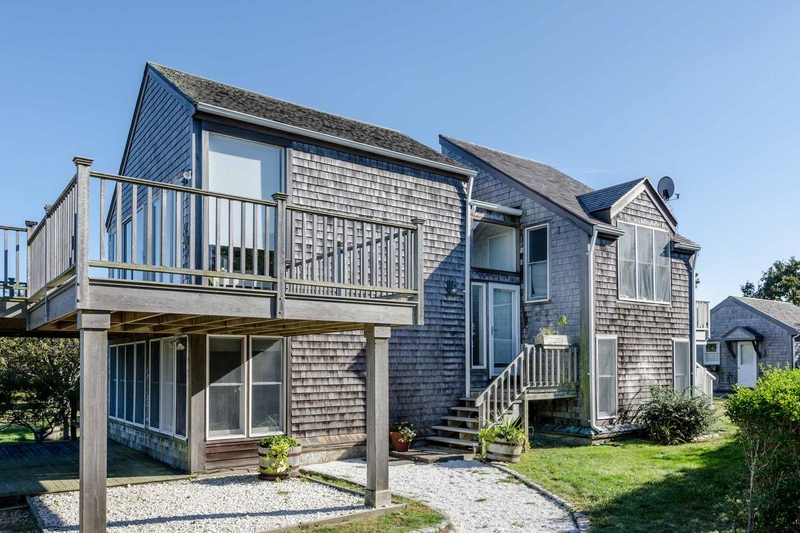 The entire Chappy Beach House Compound has large front and backyards, nicely manicured grounds, and easy walking access to the Chappy ferry and downtown Edgartown and deeded private access to an outer harbor beach.